Can Transmission create a series of safety messages using just images? Sure! 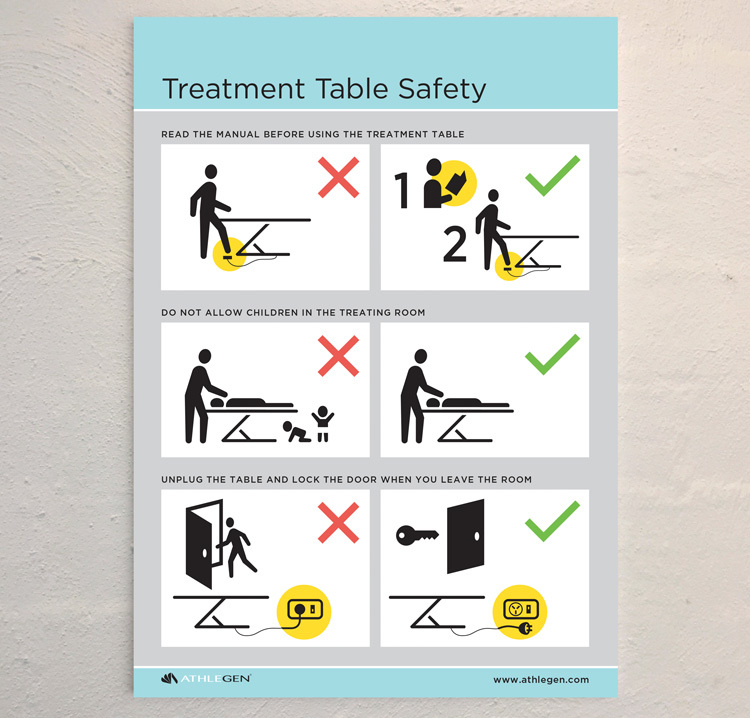 Athlegen are an Australian company that design and locally manufacture professional treatment tables – sold both here and abroad. 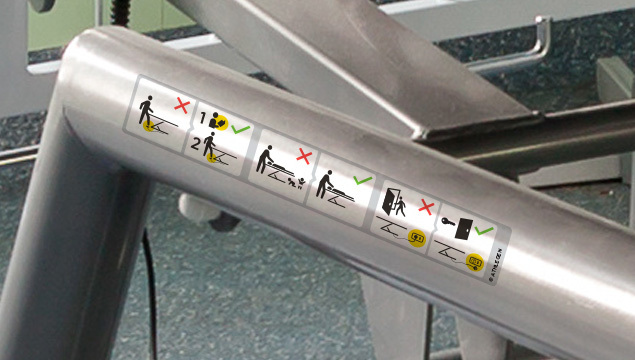 Athlegen’s vision was to provide safety information for the tables that worked at a glance, even for non-English speakers. Our initial prototyping looked at individual symbols, but the safety concepts were too complex to be demonstrated that easily (never leave the treatment room unlocked, turn off the tables at the powerpoint, do not operate with children in the room…). So we explored how combinations of symbols, much like emojis, might work. Our approach was also informed by international research into warning symbology by Adams, Boersma and Mijksenaar in IDJ 18(2) 2010, showing that difficult concepts could be communicated with combinations of symbols. 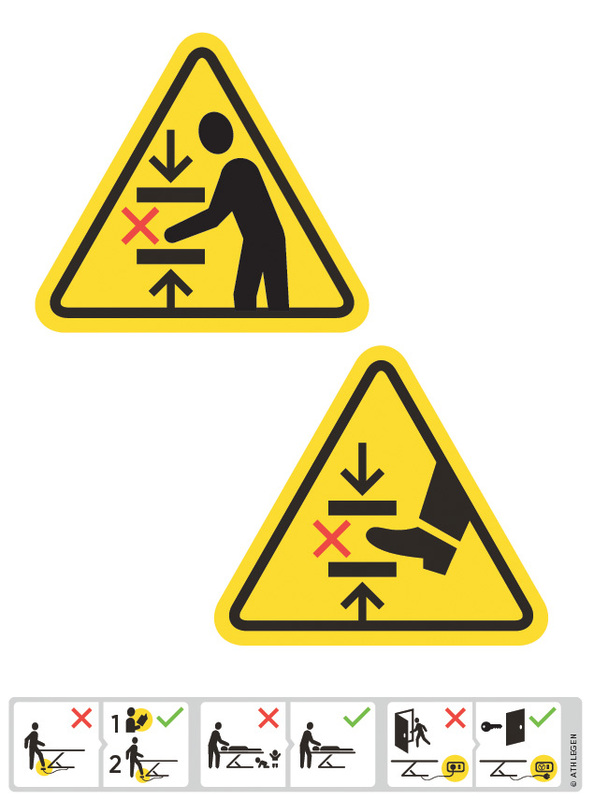 The result – warning stickers and posters that raise the bar on safety for Australian manufactured medical equipment.